Leading Manufacturer of carrot & mulberry fruit thirst gel, massage gel, face gel, charcoal bamboo deep-detox gel, aloe vera gel and anti acne overnight gel from Ahmedabad. •Carrot :Rich source of vitamins A & E and beta carotene. It is soothing to dry and rough skin and bring moisture in skin. • Activated Charcoal, Bambusa Vulgaris (Bamboo) Extract, Malachite Extract, Lepidium Sativum (Swiss) Sprout Extract, Hieracium Pilosella (Hawkweed) Extract, Albizia Julibrissin Bark (Silk Tree) Extract, Gaultheria Procubems Leaf (Dhasingre Oil) Oil, Aloe Barbadensis(Aloevera) Extract, Olea Europaea(Olive) Oil. Apply sufficient quantity of this Gel all over the application area, Gently in a upward circular motion for 20 minutes each so that the gel gets absorbed well & wipe off with wet cotton. We are offering Absolute Anti Acne Repair Gel. cool and soothe before & after sun exposure. Carrot: Rich source of vitamins A & E and beta carotene. It is soothing to dry and rough skin and bring moisture in skin. Mulberry: Powerful Skin whitening & antioxidants protect the skin from environmental aggressors, rich in Vitamin A & C gives glowing & fair skin. We are offering Acne Care Gel. 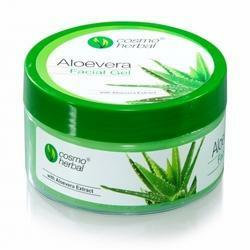 We are offering Aloe Vera Face Gel.